Hi, I am back and would love to trade, my pinpics is up to date: Xanaduhaz but the photos at the beginning are out of date at the moment. Hope we can start trading again after a long break! My inbox was full but I cleaned it out. Please PM again! Is anyone willing to trade to the UK? I know it can be pricey so happy to do multiple pins in a trade. Still looking to trade, for those that find it too expensive to ship outside USA my dear friend Ninpin says I can use her address. Happy Trading! Sorry guys for the lack of activity again but here I am looking to trade again. We have a few matches. My pinpics is listed below. Let me know if you want to trade any. 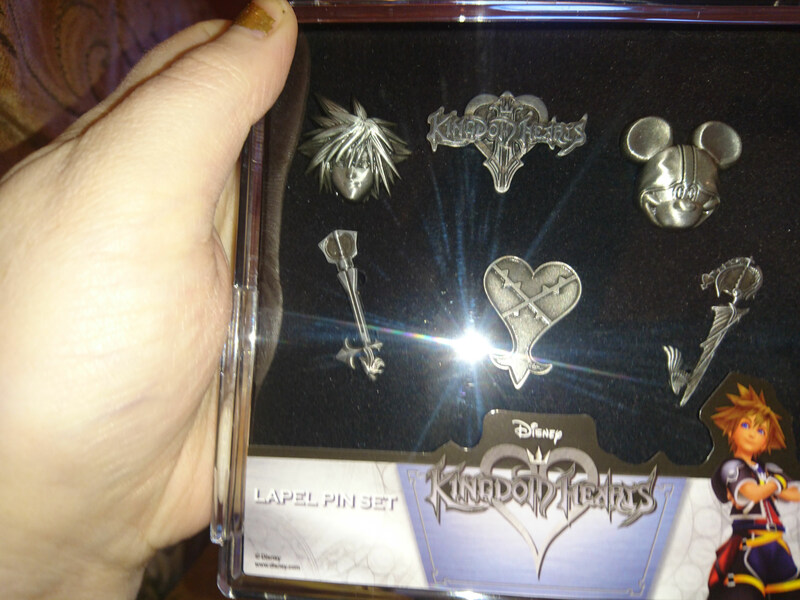 I have these Kingdom heart pins. They are from what I gather licensed to a shop called EMP. I got them in the sales in case people are interested. We have a couple matches! My pinpics is Luvolaf if you want to take a look! I have some new traders including stitch park pack to hand and the fantasia park pack coming next week hopefully! Please take a look at my traders. Hi Hazel! You have a couple pins I'm interested in. They are #93889 and 87441. Please let me know if you're interested in trading and if so, what you feel a fair trade would be. Thanks so much! In a fowl mood and need something to cheer me up so lets trade as by friday I will have money to post things again, yay!!! I am attempting to send a 2-for-1 trade request that is hopefully not too lopsided, but the algorithm is refusing to show you on the list of people I can send to, even though the lists match up. May have to be a message. Weird.